STREET DANCE: Dancekool pres. The Australian Waacktournament Sydney this Saturday. | SOUL OF SYDNEY FEEL-GOOD FUNK SOUL DISCO vibes & beyond. STREET DANCE: Dancekool pres. 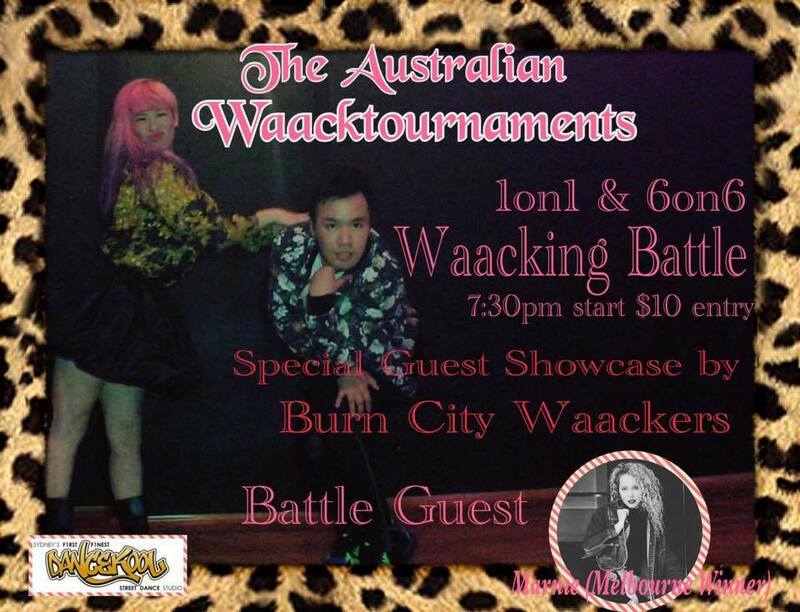 The Australian Waacktournament Sydney this Saturday. STREET DANCE: Our good friends at Dancekool are hosting the The Australian Waacktournament Sydney this Saturday at their studio in Bathurst St, Sydney CBD. If you enjoy lot of the dancers which you would normally see at the Soul Of Sydney events than this is one we highly recommend, great to be part of as a spectator taking in what Sydney’s street dance scene is all about or competing. Will it be Sydney or Melbourne to be Crowned the inaugural King or Queen of Disco?